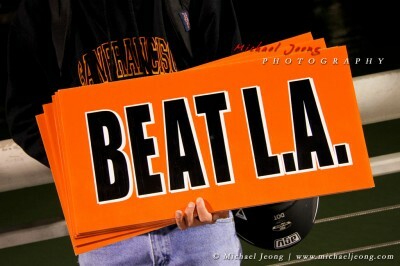 “Beat LA, Beat LA, Beat LA,” was the chant heard around the stadium for the three game series and guess what? That is exactly what the SF Giants did to the LA Dodgers. Leading in the NL West the LA Dodgers had been in the lead of the division up three games, but that soon would all fade quickly. The Giants hosted the Dodgers on Monday night after losing an away game at the Oakland A’s in their pursuit of possibly sweeping the A’s for the Battle of the Bay interleague baseball 3-game series. Down on their luck of sweeping the A’s, but winning 2 of 3, the Giants started off the first of a three game series against the Dodgers with Barry Zito pitching. With much run support and great pitching the Giants went to win the first game 8-0. An awesome shutout game. Only 2 games back from 1st place in the NL West. On the second night, Giants put Ryan Vogelsong on the mound paired against Dodgers pitcher Clayton Kershaw. A night where both pitchers duked it out, but the Giants struck first with two runs in the 4th, but that’s all the Giants would need as Vogelsong pitched 7 scoreless innings, followed up with Affedlt relieving and Casilla closing. Another awesome shutout game. Only 1 game back from 1st place in the NL West. For the third game, the Giants hosted the Dodgers for an afternoon game at AT&T Park. Giants led the way with putting Tim Lincecum on the mound against Chad Billingsley. Both pitchers were struggling having a poor season, but Timmy especially having a bad season after having several great seasons with the Giants. Lincecum had some type of inspiration going into the game because he pitched wonderfully. I don’t know what got into him, perhaps he had some smoke or something, but he did a great job on the mound with some great stuff and nice movement on the ball. Throughout the game talks of shutting out the Dodgers three times in a row and sweeping them were the topics of discussion as the game was played. How much of this talk could result in jinxing the team? It’s something that usually is never said allowed, but always lingering in our minds. 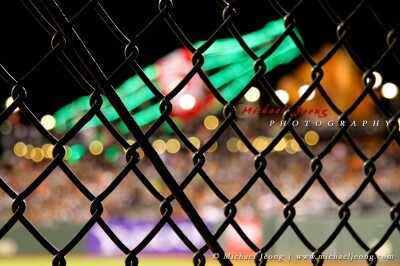 Nevertheless, Lincecum was able to hold out above the Dodgers as he pitched 7 scoreless innings. The Giants by the 5th Inning scored 3 runs and this was all they needed to have scored as they went on to shutout the Dodgers once again. From chants of “Beat LA” circulated throughout the stadium and even around the city of SF, the chants turned into “Sweep LA”. And for the first time in Giants baseball history not only do the Giants sweep LA, but they shut out their opposing rivals, the LA Dodgers, in all three games. Never have the Giants been so vibrant since the 2010 World Series Championship. However, on this day things were to change fast. The Giants not only sweep the Dodgers and shut them out, but they come to tie with the Dodgers for 1st place in the NL West. Tonight the Giants will play the Cincinnati Reds who are currently in 1st place in the NL Central Division. Can the Giants hold onto first? Only time will tell.